Aston University has long been at the forefront of using CLIL in higher education, and teaching in the target language represents one of its unique selling points. Student recruitment to modern languages is above the national average. Results in the National Student Survey show almost 100% student satisfaction across all languages, and students especially mention teaching in the target language as key to their success. Moreover, employability prospects for Aston language graduates are regularly amongst the top 5 nationally. At Bordesley Green Girls School (BGGS), an inner city school in Birmingham, 89 percent of girls study languages at GCSE and 81% of these girls report that they enjoy learning a language. A sizeable group of 28 students also study languages at AS and A2. Value-added scores for languages are the highest of all EBacc subjects in the school. Languages are at the heart of whole school improvement. The Head Teacher Judith Woodfield has indeed shown that standards have risen in all other subjects at Key Stage 3 thanks to the adoption of a European curriculum which has CLIL at the heart of its delivery. Research in the UK and internationally shows that this approach to language learning leads not only to language improvement but also to cognitive acceleration. The results from both BGGS and AU demonstrate that the negative national trend for languages is not inevitable. Given the right approach, children from any context and at any level of education can achieve success in languages. We believe that language is a skill that can be accessed by all; its potential for inclusivity is a key strength that needs to be advertised widely. To network for the promotion of CLIL as a highly effective approach to language learning and of its related benefits for the individual and the society. Problem-Based Learning (PBL) has become a popular educational approach and now has a global, multidisciplinary scope of influence. This experiential, student-centered learning approach was first piloted and developed by Dr. Howard Barrows in medical education for physicians at McMasters University in Canada from the 1960s onward. Over time, the methodology has also been adopted by other disciplines in the medical sciences, such as nursing and pharmacology. It spread further in the social sciences to programmes teaching law, sociology, business, agriculture, information communication technologies, as well as teacher education and regular classes for Grade 8–12 STEM (i.e., science, technology, engineering, and math) courses. It has even been used in police training. To a lesser extent PBL has been used in areas such as the arts, literary studies, theology, and philosophy. Due to the multidisciplinary expansion of PBL, a variety of modes for delivery have emerged from the initial approach. However, the following factors are common to PBL whether it is used for an individual module, a course, or a programme. PBL uses tutor-facilitated, small group learning to present students with real-world problems, relevant to their disciplines. The problems require critical thinking and collaboration to resolve. In a self-directed manner, examining what information has been made available, students identify what they do and do not know about the current problem; and they focus it to a manageable scope. Then they search for additional resources and interpret them. As the PBL cycle progresses, they integrate individual knowledge into the group’s final solution to the problem. The tutor will assist with this integration and / or provide feedback on the collaborative efforts, closing off the cycle with reflective activities. In course-based PBL, several cycles will contribute to knowledge creation over the duration of the course. That knowledge will be evaluated in discipline specific ways but preferably with authentic, professionally-oriented assessments that are in harmony with the learning process. This exploratory, evaluative case study introduces a new context for problem-based learning (PBL) involving an iterative, modular approach to curriculum-wide delivery of PBL in an MA TESOL program. The introduction to the curriculum context provides an overview of the design and delivery features particular to the situation. The delivery approach has established multiple roles that contribute to the design and facilitation of the learning environment: lead instructors, collaborating instructors, and students as peer teachers. These roles also identify milestones on a collaborative instructional skills trajectory for professional development. In this mixed methods study, qualitative data were collected from collaborating instructors (the majority of whom were alumni) in order to illuminate the nature of successful PBL cycles and quality peer teaching, as experienced in the program. Their perspectives were also elicited on their position in the trajectory, highlighting current professional development benefits and future needs. Quantitative data on student demographics and mean GPA for coursework triangulate the qualitative results. Implications and recommendations for further research are explained. Symposium: Can Languages Have an “Afterlife”? Language shift is rarely a wholesale abandonment of a language by its speakers but a complex process normally taking place over two to three generations. In some cases language shift can lead to the development of successor lects. During the 19th century, for example, Romani speakers in the process of shift to English consciously retained a repository of words and phrases to be implemented into their English, thus forming a distinct variety of English called Anglo Romani. Another language where a conscious preservation of at least a repository and the development of successor lects took place during a process of shift is Western Yiddish in contact with Dutch and German in the first four decades of the 20th century. Funded by the British Academy a one day symposium will take place on December 7th (10 am to 4 pm) at Aston University in Birmingham. Elisabeth Barakos (Lecturer in Applied Linguistics at Aston University, member of the Language Education subgroup of CLaRA) and Charlotte Selleck (Lecturer of English Language, University of Worcester) co-organised a panel on “Elite Multilingualism” as part of the Sociolinguistics Symposium 2016 in Murcia, Spain. The panel, which brought together international scholars working in the fields of applied and sociolinguistics, specifically focused on the notion of ‘elite’, i.e. the conceptualisation and evaluation of multilingualism as something that adds social (or material) capital, prestige, privilege and access to resources, within the complexities of a globalised economy. Given the current celebratory discourses about linguistic diversity (emanating, for example from organisations such as the EU) and the multilingual turn in education and applied linguistics (McLaughlin 2016, May 2013), it is timely and necessary to critically engage with what multilingualism has come to mean in different social settings and for different social actors. Traditionally, research has dealt with often minoritised, underprivileged multilingual speakers vs. the dominant, monolingual speaker, ideologies of native speakerness and standardness, the role of global English as well as monolingualism as a language ideology. There is, however, only scarce engagement with multilingualism as an ideology of and for the elite, and its link to the creation of hierarchies and social inequities (De Mejia 2002). This panel therefore aimed to introduce the concept of ‘elite multilingualism’ to disentangle the paradoxical situation of valuing some types of languages more than others. In a European context, Jaspers (2009: 19), for example, speaks of the ‘prestige’ or ‘pure’ multilingual – referring to the upwardly mobile, highly educated, higher socioeconomic status learners of two or more internationally useful languages. On the other hand, there is ‘plebeian’ or ‘impure’ multilingual – a term referring to the use of various (regional or minority) language varieties by a mostly urban, largely multi-ethnic, very often poorly educated working class across Europe. As Sonntag (2003: 8) argues, elite is not something monolithic or static; rather, she claims that “different elites draw on different capitals to acquire and retain their elite status”. What counts as ‘elite multilingualism’? How is multilingualism as a kind of power regime taken up in these different spaces? Which type of multilingualism counts? Are certain languages favoured by ‘elite’ learners? How are other, less frequently learnt languages and their speakers positioned? Does multilingualism bring about new forms of inequalities, hierarchies and stratification? Who benefits from multilingualism and who is marginalised by it? Such questions should help understand the mobilisation of multilingualism as sources of investment, means of instrumentalisation for specific social actors and social groups and as an ideology that brings about issues of inequality. The questions also pay attention to multilingualism as some kind of existing language order or language regime that is based on processes of selection, hierarchisation, inclusion and exclusion. If you would like to know more about elite multilingualism, Elisabeth can be contacted on e.barakos@aston.ac.uk. See also her Aston staff profile for Elisabeth’s other research interests, talks and publications. This CPD event was run by Nathan Page (lecturer in applied linguistics at Aston) on May 4th, and was attended by staff and students of the university. The session was based around an overview of major theories and findings in the English as a Lingua Franca (ELF) research movement, and then an application of those to a specific context of language teaching and learning which formed the basis of Nathan’s PhD research. ELF research tells us that many features of standard English lexicogrammar and pronunciation can be varied with no effect on mutual intelligibility between speakers. It has documented some of the processes involved in maintaining that mutual intelligibility, and has also pointed out which specific features are likely to cause breakdowns in communication and which are not. Given this backdrop, the audience were asked to consider a rather controversial question: to what extent is the teaching of all standard forms of English relevant in English education today? Of course there are many ways of approaching that question, and certainly matters of educational context and individual identity, aspirations (and so on) are of paramount importance. It was noted that it is not uncommon for teachers or learners to have either ambivalent or openly hostile reactions to some of the concepts and ideas associated with ELF. This issue was expanded upon by demonstrating that – in a Japanese context where the English learners are volunteers preparing to work overseas in diverse global contexts – there certainly must be a strong case for adopting an ELF-type position on teaching practices, and yet some teachers were openly dismissive of global diversity in English, preferring to adhere strictly to standard forms of the language. This was shown to be a complex, multi-layered issue as research from the context shows many reasons which justify an ‘intelligibility based’ approach but this comes with many caveats indicating that some focus on standard forms of English is still important to the volunteers. Ultimately, the session pointed out that an awareness of the issues raised by ELF is important for all teachers of English, but that the associated concepts represent both challenges and opportunities for classroom pedagogy, largely dependent on context and also learner identity. If you would like more information, Nathan can be contacted on n.page@aston.ac.uk. He also has an open-source publication available at http://www3.caes.hku.hk/ajal/index.php/ajal/article/view/28 . This conference taking place on February 19, 2016, at Aston University was organised by the Department of Languages and Translation Studies (LTS) , with the support of the Centre for Language Research at Aston (CLaRA), and brought together international scholars from varied disciplines to talk about a wide range of topics, including “Rethinking the Translation Continuum”, “Official multilingualism and translation in NGOs” and “Legal Translation and Multilingual Lawmaking in the EU”. For more information about the programme, go to the conference website. On Friday, February 26, Bordesley Green Girls’ School is hosting an Educational Conference focussing on CPD at primary and secondary level where CLaRA member Prof Urszula Clark will be the keynote speaker and will also present a session and a workshop on Language Based Pedagogy. For more detailed information about the programme, please go to the website. 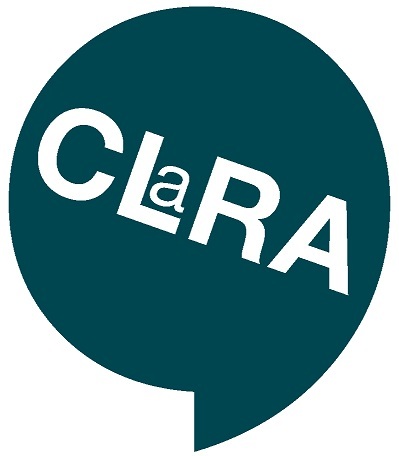 During summer 2015 the Centre for Language Education Research at Aston (CLERA) has undergone a review resulting in its transformation to the Centre for Language Research at Aston (CLaRA). While language education research will remain one of the Centre’s pillars, members decided to broaden its scope. In our view, communication, knowing language(s), understanding discourse(s) and the media are some of the most important and challenging issues for people living together in an increasingly globalising world. The Centre for Language Research at Aston (CLaRA) sees itself as an innovative and international forum which focuses on language in the 21st century by bringing together researchers from disciplines across the study of language and culture. Language and Literature: Focusing on the interplay between language, communication and culture. This project focuses on improving the learning and teaching of European languages in Russia, Ukraine and Uzbekistan. Following research into the current practices and future needs of teachers and teacher educators across the consortium, the central activity is the development of a blended master’s programme for current and prospective teachers of European languages (English, French and German). The new programme introduces innovative learner-centred methodologies, tuned to EU standards but with a close eye on the needs of the local context. The project is based on collaborative research and development with a gradual handover to trainers in partner countries, making delivery fully sustainable beyond the life of the project. It explicitly distinguishes between L1 and L2 sub-corpora. The corpus is enlarged and developed continuously and is open to the interested public on a trilingual interface. (https://gewiss.uni-leipzig.de/index.php?id=corpus_research&L=1). CLaRA promotes collaboration among scholars in language and linguistics, and establishes international research networks and partnerships. It provides an annual programme of seminars, workshops and conferences, with recent visitors including Rod Ellis, David Nunan, Jennifer Jenkins. In addition, within CLaRA a language-related programme of events within the university’s continuing professional development programmes is designed and delivered in close cooperation with the centre’s stakeholders. Do you know a very special language teacher or a student language ambassador? A teacher who inspires pupils through superb teaching and supports colleagues by sharing their expertise and ideas? Or a student language ambassador who motivates young learners, showing them that learning languages is exciting, cool and contributes to their future success? If you do, then why not nominate them for a Routes into Languages / Association for Language Learning Award? Find out more about the Language Teacher of the Year and the Student Language Ambassador of the Year Awards. Download the background information and judging criteria. Nominations are open from 01-30 October 2015. If you have any further questions please contact the Awards team by email to award@all-languages.org.uk.